I wanted to share a trio of palettes I bought from Sephora's Family & Friends Sale with you because I love Stila, but these are great prices too! They'd make fab stocking-stuffers, or in my case, great gifts for myself! I believe the Sephora sale is still going on through November 3 and the code is FF2010. 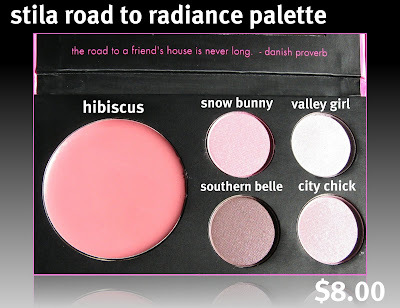 Below: The Road to Radiance palette contains 4 eye shadows and one Convertible Color (dual lip & cheek cream). This palette has a magnetic closure, an interior mirror (with a little proverb inside! 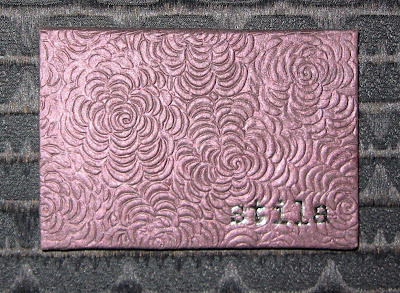 ), and measures about 2 1/2"x4 1/2". (note: the flash washed out the palette colors in photo directly below, but the swatches are accurate). With the 20% F & F discount, this is $8.00. Below: The Pretty in Paris palette is in the same packaging as The Road to Radiance palette. This one is also available for $8.00. Below: The Backstage eye palette is on sale with the discount for $15.20. This contains 6 eye shadows and is also in a magnetic palette. This palette measures about 3"x4 1/4" and the shadows are larger than the other 2 palettes. 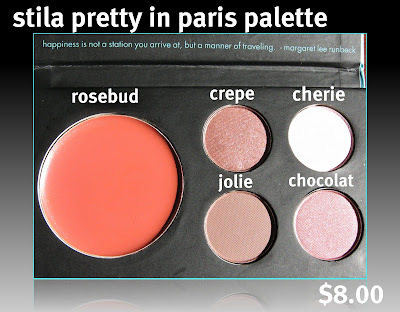 Below: This is the outside of the palette. Isn't that pretty? 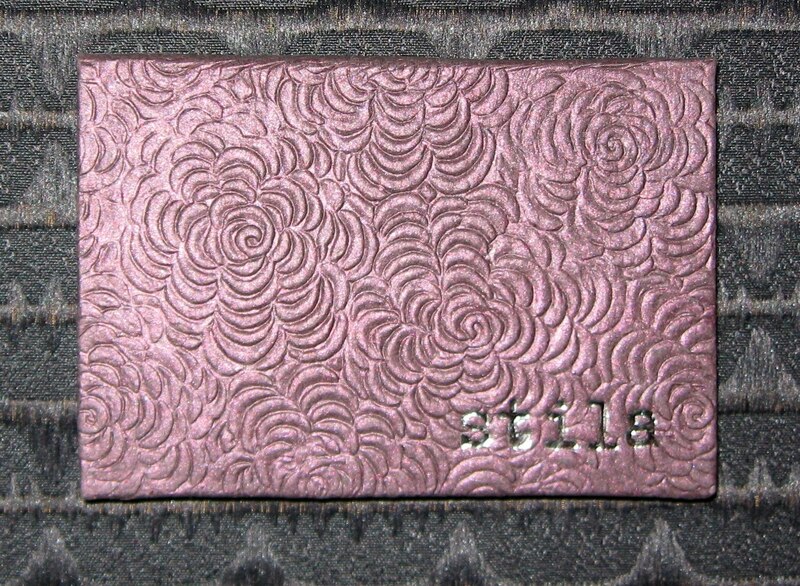 It's an embossed fabric covering. If you already love Stila products, you know this is a great deal. Their products are high-quality, extremely pigmented, and long-lasting. The powder shadows can also be used wet for a more intense look. If you've been wanting to try this brand or if you're looking for some nice gift ideas, this is your chance! Did you place any orders during Sephora's sale? I'm considering one more because there are some NARS items that are tempting me, but I haven't quite decided if I really need them. Let us know what you got! I am familiar with their products, and you're right, it is a great deal! 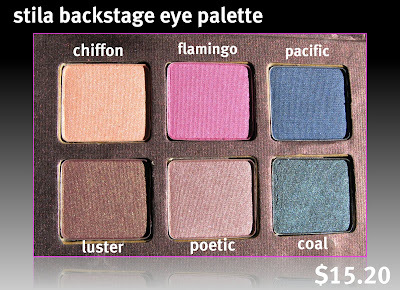 The backstage eye palette especially will be on my November shopping list. 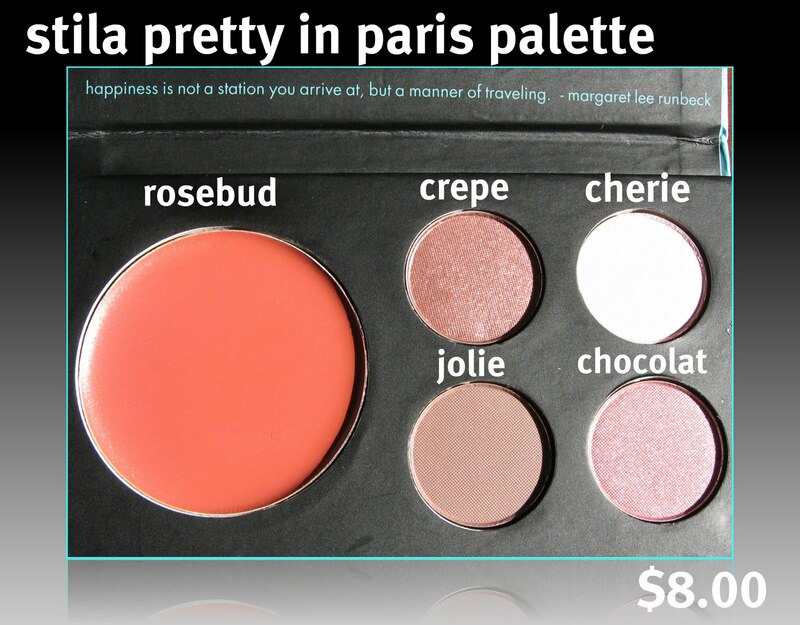 Like those palettes! I bought plenty! I bought the mini kit Opi Sephora Havana Nights. I also bought OPI Spehora Mermaid and Leaf Him at the Altar. I got the Urban Decay NYC palette, Kat von D's True Romance Adora palette and a Sephora palette which has a wood case with the swing out lid. I forget what the name of it is. I wanted to buy much more but I spent enough as it was.